To give you a nice distraction from the post-election madness, here’s an interview with Charlie Wright, founder of CIELA (or The Charter for Independent Estate and Letting Agents, to give it its full name). 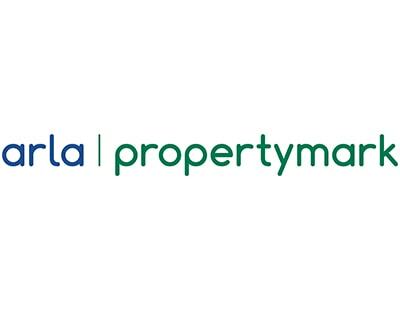 An organisation that is “dedicated to the benefit both of its members and their customers”, CIELA was only formally founded at the beginning of March this year but has already caused quite a stir in the property industry. With large and corporate agencies barred from membership, CIELA’s focus is very much on independent agents uniting together to speak as one and gain control of their industry. It counts itself as the first organisation formed to represent the views, wants and needs of small independent agents, represented nationally by a committee also made up of independent agents. Charlie, a father of two who founded estate agency software firm Easymatch Ltd in 2008, has been working with independent residential agents for 20 years, and it is this close relationship that inspired him to form CIELA, to allow independents to own their own future. You mentioned at an event recently that our industry has a poor image. Why do you think this is? Is it down to the media, a minority of poor agents or is there some truth in the criticism? The public does not properly understand what agents do. Moving house is widely accepted as one of the most stressful processes people ever have to endure, second only to divorce (and often directly as a result of divorce). Conventional agency businesses only get paid if people successfully move house, so it is absolutely in the best interests of any independent agent to help their customers successfully complete their move. 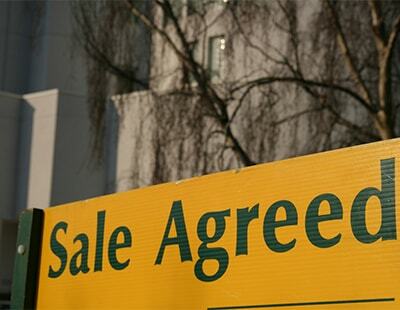 However, moving involves many parties, including multiple sets of solicitors, parties on either side of the transaction, referencing companies, all in addition to the agent. Whenever any one of these parties behaves in a way that adversely affects the transaction, it always falls on the agent to deliver the bad news. It's a case of ‘shoot the messenger’. When you consider how much work agents do accepting the risk they may never be paid if a move doesn't complete, being an agent is often a thankless task in the most literal sense of the phrase. All of the legislation and compliance requirements forced upon agents also clogs the process and again, frustration is always taken out on the agent. 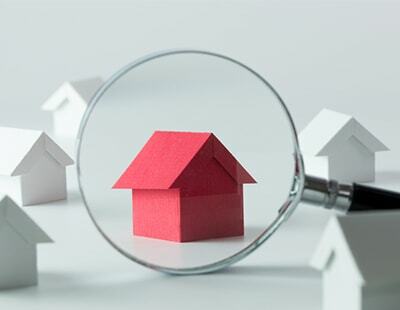 Most of all, the real reason the industry has the poor image it does is because there is no visibility of the work agents do to ensure a smooth transaction. In other words, when it seems like an agent has ‘done nothing for their money’, it’s usually because they have done such an outstanding job of smoothing the process out that the client experience is that it was easy. Does CIELA view corporate or online estate agents as the biggest threat to the future of the traditional independent? Neither. It’s only the marketing of corporate agents and the marketing of online agents which is a threat. Corporate marketing paints a picture of being a safer pair of hands for a mover than a small business, often seducing people into instructing the corporate agent despite the fact that their business model relies upon the commoditisation of personal service. Corporate agents can often be a good choice for a house seller, provided it is because of the calibre of the individual employee who is representing any given corporate branch. A corporation itself will never ‘look after’ a customer. Only a human employee can do that. Ultimately, while fees are falling as a result of desperate price cutting by corporate agents, independent agents still end up doing more business, as movers learn one at a time that personal service from a passionate local business owner will always deliver a better result and experience. How can independent estate agencies combat falling average fees? The only chance independent agents have to combat falling fees is to unite nationally behind a concerted PR campaign to better inform the public. There is no other way. People who instruct the best agents at higher fees are already aware of the reasons to do so. That is the knowledge that needs to be spread. Do you agree with traditional agents charging upfront fees in response to online agents? Where a full-service agency is offering an upfront fee with the ability to upgrade to a full service, i.e. the customer has a choice of no-sale no-fee from the outset, then this can be a very effective marketing strategy for getting in front of potential clients who are yet to understand what agents do. So, provided there is always a choice, if a customer chooses to risk some upfront money when they also have the no-sale no-fee alternative, then while I don't think it's advisable for anyone to try and sell their house like that, CIELA is perfectly happy for any conventional agent to use whatever marketing strategy works best for them. We are not here to tell anyone how to run their business. You've said in the past that you feel the property portals are exploiting agents. Can you explain this viewpoint? Ignoring OnTheMarket, which was in my opinion nothing more than a squandered golden opportunity for independent agents to take control of their data, Rightmove and Zoopla currently have a combined stock market value of over £5 billion - almost all of which is value extracted from the industry's data. Rightmove's pricing policy is exploiting its market strength. On the one hand they are just doing their job, but given that the vast majority of their income is from independent agents, the casual dismissiveness with which they treat their customers who, in some cases, genuinely struggle to meet their fees, is shocking. A busy independent agent in a large town centre with a reasonable turnover of stock will find Rightmove's fees to be of reasonable value. But a small, rural village agent doing far fewer transactions through no fault of their own, will find the fees disproportionately expensive, but have no choice but to pay. Zoopla, until it bought up multiple industry suppliers in an obvious data play, was the only hope against Rightmove, until OnTheMarket's strategy took a big bite out of Zoopla's market share. Zoopla has now clearly given up on challenging Rightmove for the top spot and has pursued a strategy of maximising shareholder returns at the expense of customers in the same way the market leader has. It's early days, but Zoopla's strategy will only accelerate the extraction of value from agents. Put simply, most independent agents are not fully aware of the commercial value of even small amounts of the business information they hold. Why have you chosen to launch CIELA? It seems quite an unorthodox move for an established supplier to the industry. For the simple reason that no one else has, and I think there is a huge opportunity for independent agents to showcase why they have always made up the majority of the industry, in a way that benefits their customers too. A win-win. If the public at large truly understood what good independent agents do, it would be better off. Why do you call online agents 'fake agents'? Because fake agents pretend to do what conventional agents do. People who don't understand estate agency have been trying to ‘disrupt’ the industry for years. Estate agency is personal service. You cannot package up and sell personal service online. If you could, Amazon would have done it. Do you expect CIELA to rival NAEA/ARLA in the future? It depends in what sense. If you mean as a training and professional qualification provider, no. If you mean as a campaigner to improve the industry's reputation, and lobbying power with government, absolutely yes. It is an undisputed fact that the industry has been asking for better representation in the public eye for years, but nothing has been achieved. What will independents get out of membership with CIELA? A better reputation, well-deserved respect and the chance to take control of their future. We are not looking for the ‘best’ agents, because by definition that excludes many perfectly good ones and those are the majority we seek to represent. Thanks for the answers, Charlie – honest, insightful and thought-provoking. If you have any comments, you know where to put them.